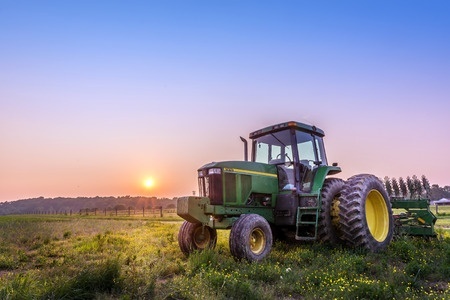 Agricultural & Farm Machinery Auctions in Bryan, OH | Wilson Auction & Realty Co, Ltd.
One of the best ways for farmers and others within the agricultural industry to sell off equipment that they don’t want or need any longer is through auctions. With more than 150 years of combined experience, Wilson Auction & Realty Co. is more than qualified to help you conduct agricultural equipment and farm machinery clearing auctions in Ohio, Michigan, and Indiana. We understand the market conditions and can use them to your benefit. You can get the highest price possible for your old farm equipment and machinery when you allow us to set up an auction for you. Although Wilson Auction & Realty Co. can hold live auctions for agriculture equipment, we sometimes suggest clients go with online auctions for used farm equipment instead. By going the online route, you can increase the pool of potential bidders and create competition for your old equipment. You can also avoid having to gather up your equipment and bring it to a live auction. It’ll allow you to accept online bids and get the highest final price for your used farm equipment. Are you looking to auction off old agricultural equipment and farm machinery in Ohio, Michigan, or Indiana? Let Wilson Auction & Realty Co. handle everything for you by calling toll-free at 866-870-5500 or locally at 419-636-5500 to get more information.